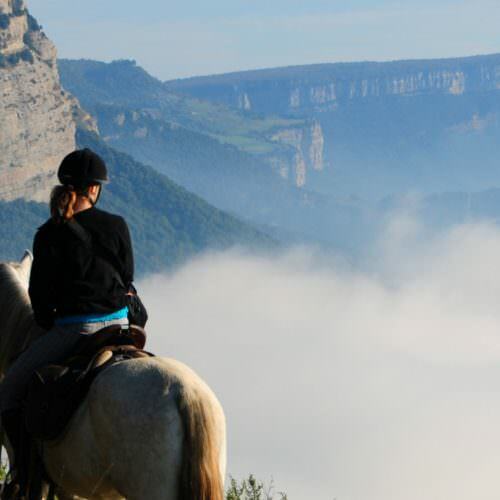 Horse riding is deeply ingrained into Spanish culture and there are many equestrian vacations in Spain to choose from. 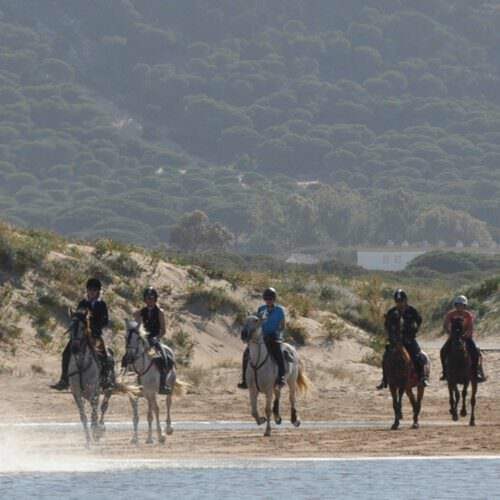 With a combination of quality horses, warm dry climate and a wide choice of good value flights, Spain remains our most popular European riding holiday destination. 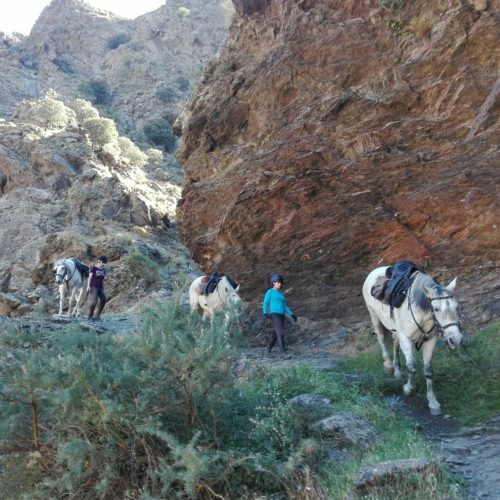 Andalucia in the south has a great choice including centre based villa rides, instruction weeks and mountain trail rides in areas that are still way off the tourist track. On the coast the best riding is towards the west on the Atlantic coast which has escaped the mass developments of the Costa's. 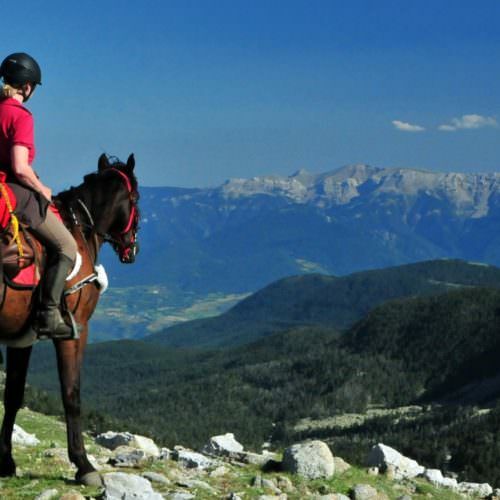 North of Barcelona in Catalonia there are also plenty of great trail rides, some are coastal trails with beach rides and others venture high into the Pyrenees. These trails are ideal for those wanting a pacy trail ride with long hours in the saddle each day. 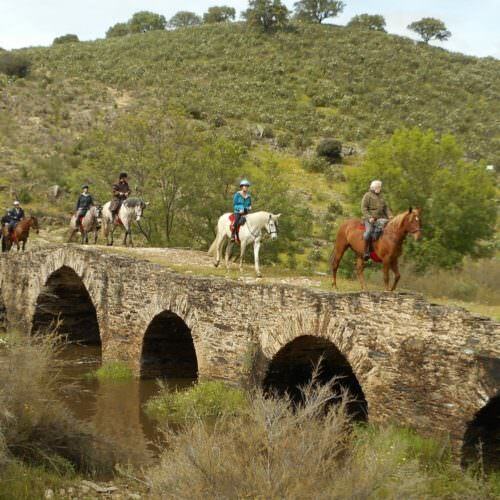 Alternatively you could look at the trail rides we offer in both Extremadura and the Gredos mountains. 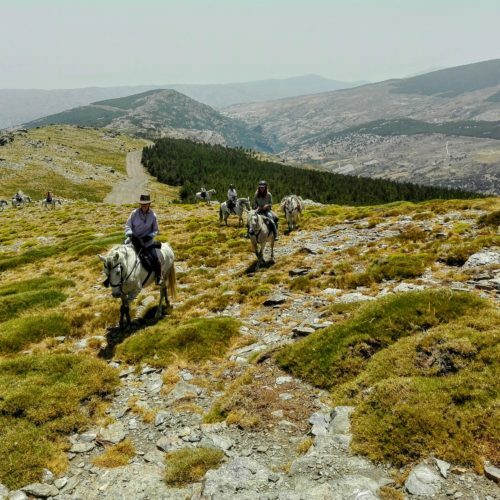 These trail rides take you on a journey through a part of Spain that not many tourists frequent, and therefore allows you to experience the tranquility of this region. 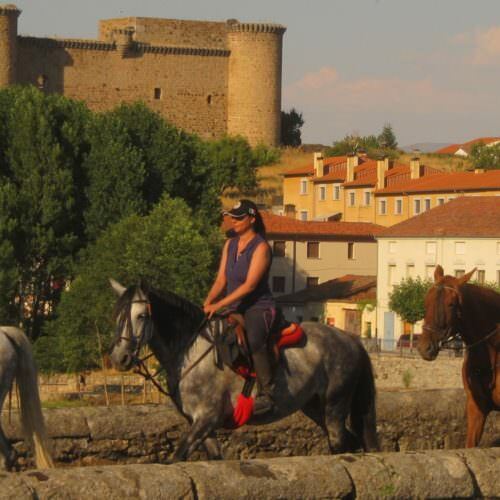 Otherwise, if you are looking to combine fewer riding hours with some sightseeing along the way, maybe you should look at our rides in Castille and Leon (El Cid). 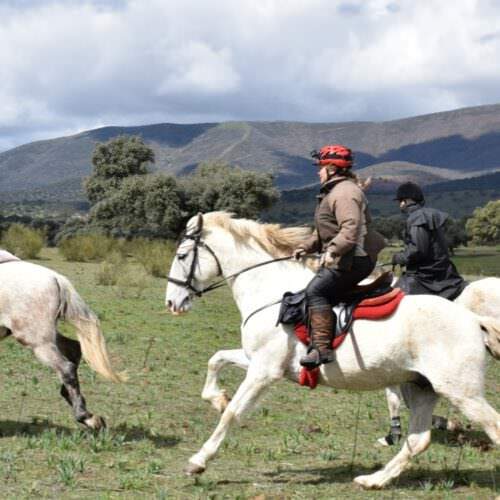 These trail rides are authentically Spanish, with Spanish horses being ridden in Spanish tack, in the Spanish style of walk and 'galop'. Our best selling ride in Europe for the past four years and for good reason. 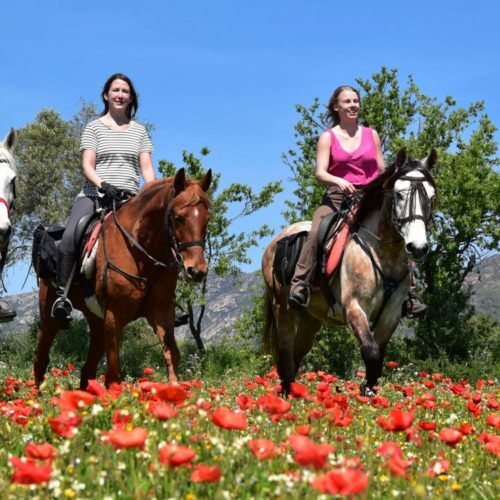 The warm welcome extended to guests, the fun atmosphere, the well trained horses, and the fabulous riding ensure guests often return. 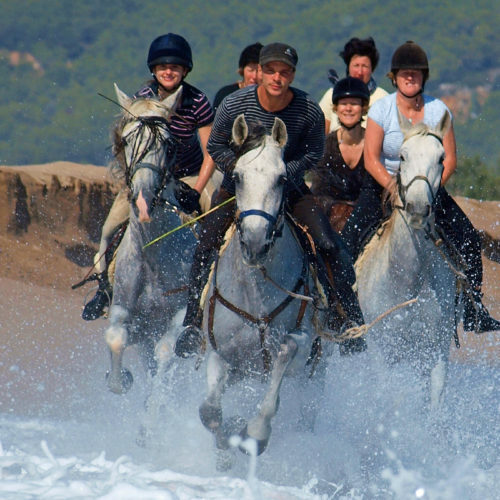 Trail rides through the coastal hills of Catalonia and along the Mediterranean coast and beaches. These trails are for confident and fit riders. There are 3 different itineraries to choose between. Follow ancient routes to the summer pastures. 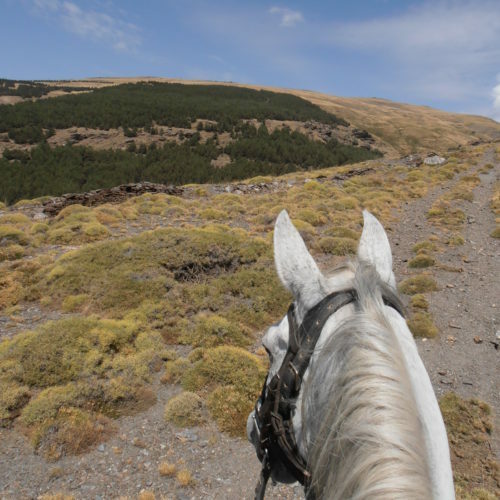 This is a very special trail ride from Extremadura to Gredos – a great experience. These four and six night short breaks include three or four days riding through the best parts of the Sierra Nevada mountains. Our Ride & Leisure itinerary includes a day trip to Granada.